Glenrothes Nursery have been busy looking for different ways to introduce literacy into our rooms. 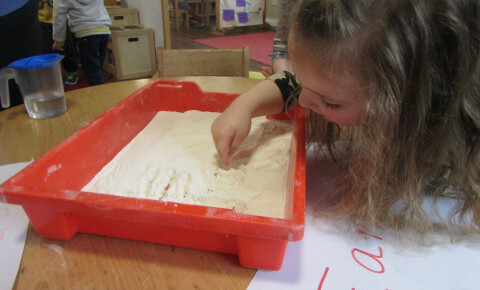 We used flour to copy words using our fingers. This encouraged letter formation and listening skills. One child said, 'It is just like writing on paper', 'It can be a little bit messy'. 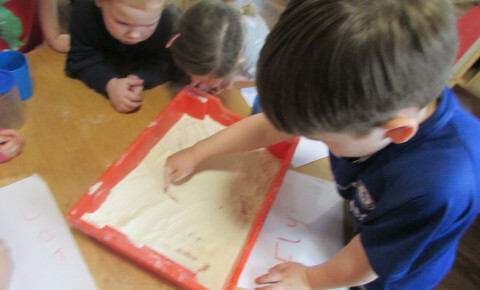 The children worked well at the writing table each with a tray, flour and a word to copy. Some children were able to write their names without any support. 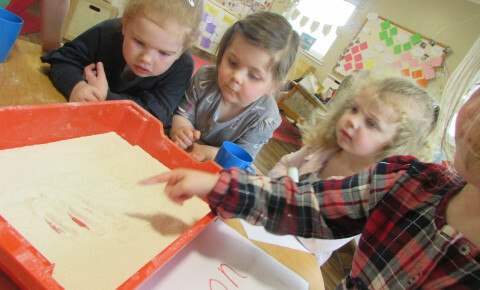 'I used my finger in the flour to make a S for my name'.